This week, 3 of 5 ICF members were 'MIA on Harvest Day', but with the exceptional help of good friends, the bins were packed and ready for happy homes by the usual time. Not having been present, I can only imagine how nicely the ducks were lining up. The showcase spread above says it all. 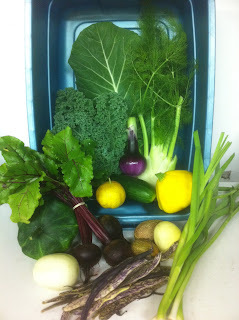 more red pigment than standard beets. zucchini like taste and texture make them versatile around the kitchen. its distinctive shape and grows vigorously. own or served in salads and stews. texture and flavour can be enjoyed steamed, boiled, or stir-fried. 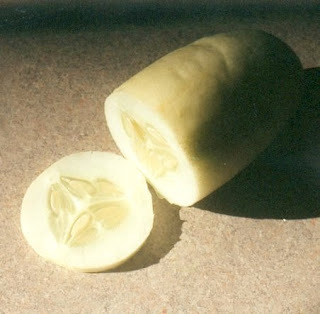 Cucumber: White (Cucumis sativus) Medium size, white cucumber from Italy. Thin skin, traditionally used for pickling but also good for fresh eating. lemon burpless flesh. We think this is the gourmet cucumber par excellence. sweet tasting and never bitter! 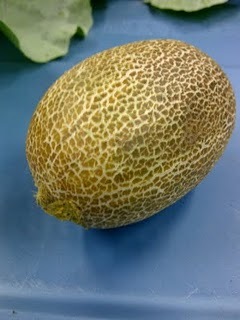 with crisp, white flesh that is incredibly juicy with a refreshing tang. 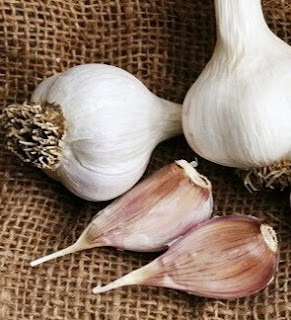 This week's garlic variety is called Music, or sometimes Musica, a hardneck that is known for its great size, taste and ability to grow well in northern climates. Allegedly (from farmer folklore), the variety is named after an Ontario grower, Mr. Al Music, who received the stock from a fellow Yugoslav. Garlic in general is believed to have originated from wild varieties in the mountainous regions of Afghanistan, Uzbekistan, and Tajikistan. I'm a little disappointed with the lack of google street view for this part of the world, inhibiting my electronic international garden comparisons (also known as veggie street creeping).